I started staying at home six years ago and was terrified. I lived in Chicago for 33 years without ever thinking I would move away. Everything and everyone I knew was in Illinois and I wasn't so sure about moving to upstate New York in 2008. Away from family, friends, babysitters I knew and trusted, and away from a community I loved. I had to reset everything about my life. I had resigned after being a teacher in public schools for ten years and was giving all of that up to stay at home with our kids, who at the time were three and 21 months old. My first week was rough as my son broke his collarbone in a city where I was unfamiliar with where the hospital was and couldn't get a hold of my wife or her parents who lived in the area for help. I felt a little lost. I questioned if I really could do this.Talk about trial by fire. A few weeks later, once I go the lay of the land, I sought out other dads who were like me. I kept seeing the same moms at the gym and at pickup for their kids. The Y Mommies accepted me as a parent but I still was looking for guys to share my experience with. It was in my church of all places where my wife and I met a couple who had kids of similar ages. What do you do for a living? they said to which I replied "I am a stay at home dad" Dreading the response he said "No kidding! So am I." What resulted was a friendship between me, him, and his brother-in-law who was also a stay at home dad. We regularly met in Fridays which we donned Dads and Subs. One guy would bring the Wegmans sandwiches and the kids would have an instant playgroup while we got to talk to one another about our weeks. Of course, after feeling comfortable with making friends in my new city, my wife received an offer to relocate again in August of 2011, this time to Philadelphia and we couldn't pass up the opportunity. This was the first city however where we knew no one and the first city that we couldn't rely on family to bail us out of a jam with the kids. I looked around for dads groups when we got settled but was coming up empty. There were plenty of mom groups for stay at home moms of little ones, but nothing for dads. I even tried to join a mom's group but was quickly rejected because "they didn't feel comfortable with a man there". I was on an island with really no where to turn until I found The National At Home Dad Network's Convention page. I will bet that you didn't know that such a group existed. I have even had people laugh when I tell them this, like men aren't interested in being around with other like-minded dads. I made plans to go the next year in Washington D.C. in 2012 and my wife worked out a schedule with my in laws to allow them to come while I was gone to watch the kids and help out. I piled into the car BY MYSELF and drove to D.C. I didn't know what to expect. I wasn't sure what to wear. Funny as that sounds, my wife had conditioned me to think of dress code for every event and I hoped that my superhero T-shirt and jeans were sufficient. Thank goodness I didn't take the President's Reception as serious as it sounded. FYI, what you wear with your kids on a day to day basis will fit right in. It turns out that these guys were just like me. They were from all over, staying home with their kids because it was what was best for their family and trying to be the best dads they could be. We listened to speakers; people who had written books on parenting, a psychologist studying the rise of male caregivers in our society, and a website devoted to helping male military spouses who were at home. In break-out sessions, we had honest discussions without judgement. We could share and be heard while dads helped other dads. Panels discussed popular issues with other men just like me. Guys talked about isolation and everything from discipline to diapers and bottles to breastfeeding. It was here that I first became inspired to start my own dads group, which would eventually become the Philly Dads Group founded at the next year's convention. Being around your peers in any field will give you that sense of self worth. You see that you aren't the only one dealing with a kid who won't eat or how your teenage daughter won't talk to you. I never laughed so much in my life and its end, I cried. In fact, I always do cry at the end even though I know it is coming. I didn't want this feeling of acceptance to end. I found my people all in one place, no longer scattered but uniformly united by fatherhood. I was inspired after the convention to really pursue my blog and after a year of participating in my first convention, I became the blog editor for their website. All of the guys in the organization are volunteers, working towards the betterment and acceptance of stay at home dads everywhere. I immediately was dedicated to doing whatever was necessary to make sure I went back the following year to Denver. These guys became my friends online and in real life. I just felt comfortable around them and I could be myself. I honestly can't wait for this year's convention, which is again in Denver. 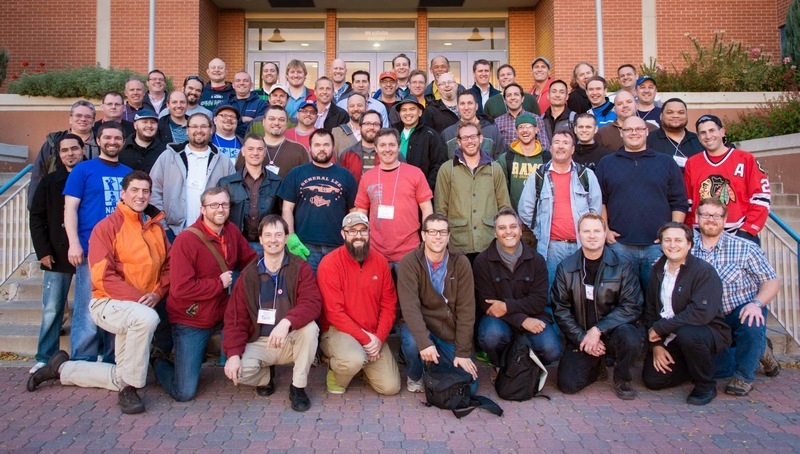 Last year I even went to Dad 2.0 as a representative of the network. The men of the NAHDN were there to help when I needed it most and they lifted me higher than I could have imagined. The shared moments with them socially and the sessions on parenting where just what I needed and when I went back home my wife saw a change in me. I was dedicated and rejuvenated ready to be back with my kids and be the best dad I could be. Not everyone has the means to make it there which is why there is a scholarship fund. You can apply or have someone nominate you to help you get there. Some men are just not joiners or they question what it would really do for them. For them I say, take a chance. You never know where it will lead. The National At Home Dad Network saved me, and it can save you too. The chime could resonate around the block and carry across many streets. The ping of that bell would elicit even the most rowdy of children to stop their activity and prick up their ears like a wary foal. "Where is it coming from?" we would say, trying to pinpoint its location like bloodthirsty vampire bats. Shhhhhh! Pipe down! and when the next ping came, we'd run to the source, gripping that paper or loose change we had just scrounged from the couch cushions trying to run like children possessed to get there first; to procure a that sweetest summer nectar known as ice cream. 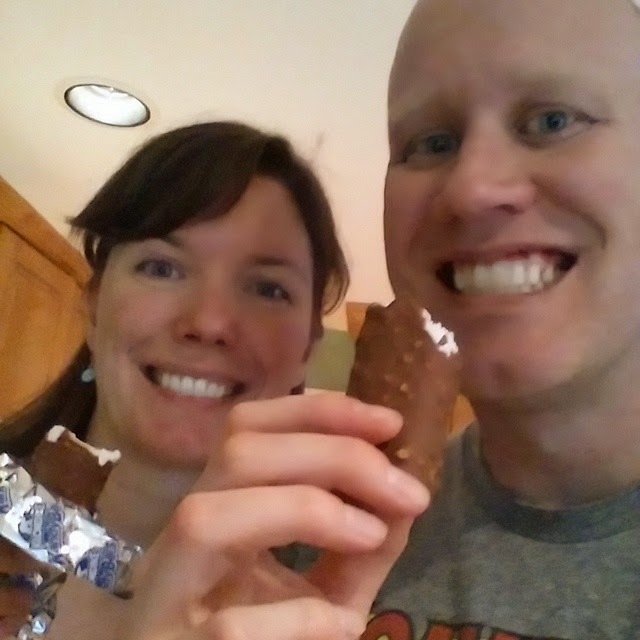 I am the first to admit that I regularly treat my kids with ice cream. On a hot day sometimes it is the only sweet relief that not only seems necessary but the expressions on their faces is priceless. But what about me? What do I get for cleaning pee off the bathroom floor and answering 123,000 questions per day? Often when the kids are asleep and it is just my wife and I relaxing from the hectic day, we indulge ourselves. We turn to ice cream for solstice. We earned it! Parenting should be rewarded with ice cream. 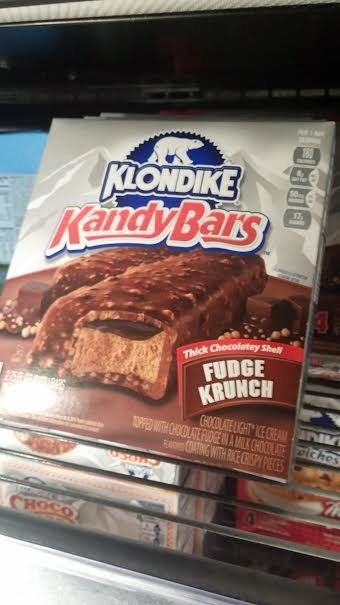 That's why KLONDIKE KANDY Ice Cream Bars are the perfect ending to a crazy day with the kids. 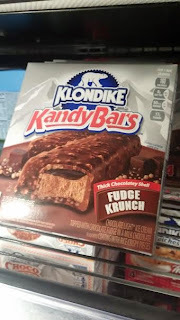 Honestly, these ice cream bars are the ones I hide behind the frozen vegetables so that the kids can't find them. With three varieties to choose from with Fudge Crunch, Caramel & Peanuts, or Cookies & Cream, there is something for everyone to enjoy. Just don't let the kids find them! 3) Take a photo of their reaction and post it on social media for all your friends to see. 4) Take a video of them watching you unwrap it and then announce that they don't get one. 5) Slowly eat it in front of them stressing the Mmmms and Ahhhs as much as possible. 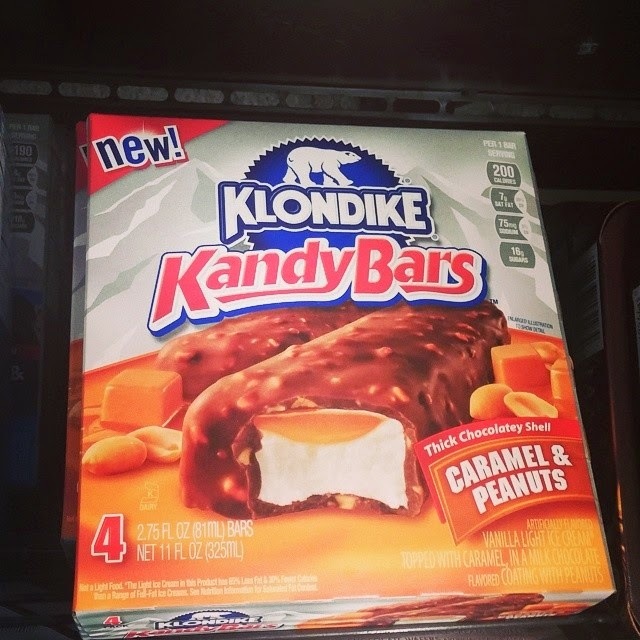 Follow Klondike Kandy Ice Cream Bars on Vine and YouTube for more hilarious videos. Sometimes as a SAHD, we face the ugly past. With change in perceptions of gender roles comes this conflict between the ways of old and the progressive modern dad. Unfortunately, we aren't just seen as a dad but something much more nefarious. It may happen at a park or at a class in which a stay at home dad might be the only man there. We often don't receive caveats for being there. A man, in a public area where there are children, must be a threat. I am veteran SaHD, with nine-year-old twin boys. Recently, I took the boys to the Swim Club where we are members, it's not fancy or exclusive, but it is a club not a community pool. We got there about 1:30 and it was pretty crowded, I found two free lounges amongst the towel strewn ones. The boys jumped in and I settled down. I didn’t bury my face in a phone or close my eyes for a nap, as shocking as this may seem to some, I watch the boys in the pool. Not because I don't trust the lifeguards, not because I don't trust the boys, nope, I watch them because they are stupidly reckless at times. The whistle blows for “adult swim” the boys jump out, grab a baggie of pretzels and begin enduring the long wait. About a dozen young girls, aged ten to twelve, tweens I guess, came my way and I realized I had the middle chairs of their twelve chair claim. The boys were, uh, watching the girls so I asked them if they’d mind moving, they thought not, realizing that that would mean engaging the girls. This seemed to convince the kindly ringleader of the girls and they moved from the last two chairs and we moved off the ones in the middle, there was bumbling and giggling, the boys were being silly and the girls were being flirty. It was cute. We settle in and adult swim ends and we move on. Except... except a storm was brewing across the water and it was not in the sky. I group of five, sometimes six, women were talking animatedly and trying conspicuously to not look my way. I figured they were the mothers of the girls and I left it at that, but, I did sense something. Adult swim again. The boys come back grab some PB crackers and sit again, talking and watching the pool and , uhm, other things. The girls all go over to a picnic table, grab snacks and return to the lounge-chairs. The girls closest to my boys begin talking with the girls about snacks. One of their smooth opening lines is: “I don't really like those Blue Ranch Doritos... they're kinda dry.” They talked with the girls about cookies and Gatorade and chips and glazed donuts. I prompted Number One a couple times trying to keep him in the conversation. The girls had Fig Newtons which the boys hate and I said I liked and one of the girls went to get me one and the another girl said I've got one and, soon, I was munching a Newton. Huh, what the, who are, where did you...? “Why, Daddy?” comes from behind me. “Later, Son,” I tell him. “Mom, what on earth is your stupid problem,” The Fig Newton girl asks. “Well, why on earth would a grown man sit in the middle of a bunch of young girls anyway,” the woman answers. Tone. It is all about tone and undercurrents and I know what this woman thinks of me instantly, her and that group of women – and it is not nice, in fact, it is ugly. “There wasn't anyone here when we put the towels down and... why does it matter, Dad?” The other son this time. My boys are confused, the girls are mortified and I am thinking hard. I know the woman, I've seen her here holding court and ignoring her kids and I've seen her somewhere else but I can't remember where. I have to make a decision, a hard decision. I smile at the unkind woman as she smirks behind her mirrored aviators, positively quivering with vengeance and mangled justice. I don't get too far when I hear the sweet Fig Newton girl. That's where I'd seen her. You can argue all you want about this. Should I have stood my ground? Maybe. Should I have taken on the bully of a mother and whittled her down to the cold fish she truly was? Too easy, really, too cruel. Should I have gathered the two or three other moms I knew there that day who had treated me with dignity and kindness when I was new here, and knew my wife, and presented them as character witnesses at this trial by innuendo? Procedurally, I wasn't sure how I'd go about that. Some may think what I did was a chickenshit way out. Well, you know what, this isn't the summer for explaining predators and irrational fears and prejudice and adult bullying and simplemindedness and the treatment of dads in society and envy and, well, dirtiness. No, this is the summer for hitting baseballs, jumping off boards and eating watermelon while the hot Ohio sun fades behind the distant trees. When I was a kid and I wanted to play with my friends, I would call them up on the rotary phone. If I was lucky enough to get the push button phone, if my older brothers weren't on it, I would call them in succession running down a list of my go-to guys. "Brian, this is Chris, can you play?" He'd check with his mom or dad and come back on the phone or I'd hear the entire thing as if I was there "MOOOOOMMMM! CAN CHRIS COME OVER?" After confirmation, I'd jump on my bike and head to his house and I knew that I had to be home before dinner. That was it. There was no pre-scheduling get togethers at each other's homes. Playdates didn't exist. This playdate garbage is ruining our kids. I shudder every time someone asks me if our kids can have a playdate together. That word is almost as bad as Mr. Mom. Almost. This idea that two kids playing together has to be an event is altering the spontaneity of our children. It has become too formal with set dates and times and has rendered my son incapable of calling his friends because he feels awkward asking, especially when a grown up answers. Adding the word date to this phenomena of play has ruined the whole experience for me. It makes me feel like I should be preparing a cheese plate and some activity that as a "host" our guest kid will be taking home a fabulous parting gift. Can't I just play on my phone while they play in their room instead of planning some elaborate craft where they end up making a stained glass window just for fun? It's time that parents stop overdoing things when it comes to our kids. The emails and the special venues are starting to wear me down. My special venue is my backyard, where I may or may not be pulling weeds while your kid plays on our swing set with my kids. Hell, I may even turn on the sprinkler for them if they want to get crazy. Also, the whole production between you and me is unnecessary. The back and forth emails about your plans and my plans are exhausting. Let me get out my calendar and let's discuss. Can she come over? No? Okay then, let's move on. The word playdate also gives off this connotation that I should be opening doors for you as you drop off your kid. They are only playing and there is no need for us to hang out unless you are one of those moms that feel uncomfortable leaving your kid with me. You probably don't want to be THAT mom though because when I drop my kids off at your house I'm not loitering because I trust you. I am OK with you dropping her off and dashing to the grocery store sans child, just as long as I also get to dump my kid off on you another time when a Marvel superhero matinee is about to drop. Kids are slowly being desensitized to the spontaneity of play. Before cell phones and social media, we found out where our friends were by the multitude of bikes parked on the front lawn. I spent most of my time as a kid riding my bike to the park and playing pickup games of basketball and baseball. We played Star Wars for hours and acted out scenarios from our heads. We climbed trees! When there was no one to play with, I didn't pester my mom to contact all her friends to set something up. Sometimes she would just point and other times she just told me to go outside and I threw a ball against the garage, for hours. I made up championship basketball scenarios, threw pop flys to myself, and made up games with whatever I could find in the garage. One game involved a skateboard, a tennis ball, and a storm sewer grate. Skateball never took off probably due to the fact that the rules fluctuated on a day to day basis because we could never remember them each time we played. My father, who grew up in NYC, played stickball with a pinky ball and a bat that he sawed the handle off my grandmother's new broom. From one ball, they invented a dozen games like "stoop ball" which clearly was created from just being outside and working with the environment and what they had. Play wasn't about what you could do, but what you could make of it. Many of our kids are totally incapable of this activity and they are losing their ability to think outside the box because play is handed to them on a silver platter. My six year old daughter tells me often that she is bored if she is not being constantly entertained and all too often instead of forcing her to figure it out, I defer to the iPad. Kids are at their best when their imaginations are in play. We are dumbing down their ability to be independent thinkers with scheduled activity and feeling like we are to blame when they have "nothing to do" Isn't it ridiculous that I feel like I am a cruise director in charge of keeping everyone occupied? When will kids learn to use their imaginations again and not rely on an app to keep them entertained? It's our responsibility as parents to make it stop. Let's start by banishing the word playdate and focus on just making our kids play in imaginative ways. Let's lose the structure and the formality and remove the dates so they can just focus on playing. 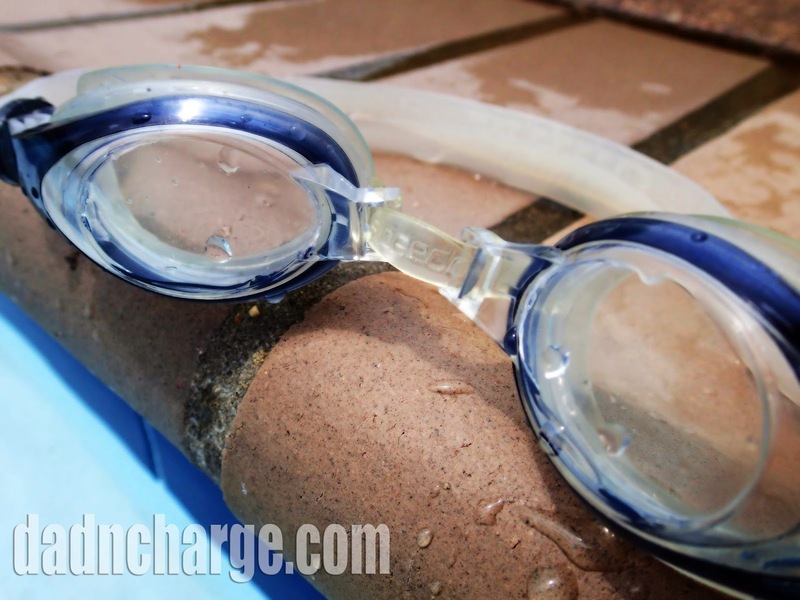 If you like this post, be sure to come like the DadNCharge page on Facebook! We have a lot of fun!